There’s little doubt that Instagram is one of the important social media platforms to be on for all types of businesses. There have been more than a few success stories of businesses that capitalized on the huge opportunity Instagram offers as a marketing platform, and grew much faster than they could using other platforms. But you need to have the right tools on your side to be able to get the most out of the marketing opportunity and launch a successful Instagram marketing campaign. Let’s find out what those tools in this post. Buffer is arguably the most popular Instagram marketing tool out there, and that’s for a reason. There are few tools that can help you automate your Instagram marketing activities and grow your business on the social platform better than Buffer. Some of its most important features include easy scheduling of posts, smart analytics that provide great insight into what’s working for you and what’s not (so you can do more of the former and make the required changes to grow better), set reminders for posting different types of content, managing multiple accounts and more. Further, you can also add different team members, while being able to decide what actions they can perform on your account. This can come in handy when you’re working with a social media manager or agency, or even when you don’t want to allow full access to your team members that manage your business’ Instagram accounts. Overall, it not only helps you save a lot of time and make it much easier to grow your business using Instagram marketing, but also helps you do that faster with its analytics and insight. Price: Free for up to 3 accounts (with some limitations), and the pricing starts from $15 if you want to manage more accounts and have more generous feature limits. Canva is another hugely popular tool that many businesses use to make killer posts on Instagram. It’s a very convenient way of creating Instagram posts that get engagement, without having any advanced graphic design skills or knowledge. Canva has a huge image database of millions of images, and you can also simply upload your own images to enhance or customize to post on Instagram. There are tens of filters and editing tools to make the kind of images that would stand out. The choices don’t end there though, as you also have a huge variety of fonts and other different elements to choose from and make highly customized, engaging content for your Instagram. Canva offers a free plan with limited features. But if you’re a business and looking to make the most out of what it offers, then you would have to go for its “Canva for Work” plan priced at $12.95 per month at the time of writing this post. While all the tools listed in this post may help you grow your business using Instagram, your whole campaign may still turn out to be a shot in the dark if you fail to figure out where you’re headed with your campaign and make the right changes at the right time. Iconosquare lets you stay on top of your campaign and measure growth in a very detailed way, so that you can optimize your campaign to the fullest. It provides advanced analytics and important metrics of growth for your account, which helps you develop a great content strategy. 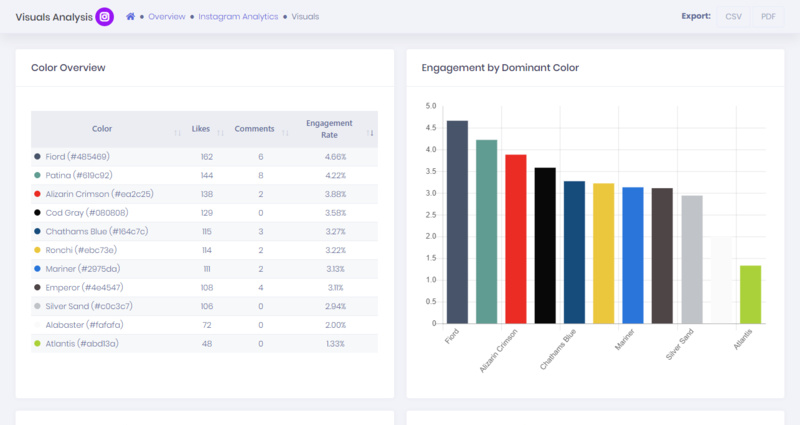 You would have a lot of data that you can use to refine your content strategy with Iconosquare, such as the growth of your followers, average engagement per post, the ideal time for posting and more. It also works great at increasing your reach and engagement using Instagram Stories too. Iconosquare offers a 14-day free trial, but its cheapest paid plan would cost you $29 per month. Pablo is another (free) tool offered by Buffer that allows you to make great images to share on Instagram quickly and easily. You don’t need to download anything, and you can directly visit Pablo.Buffer.com to use the tool. You can get to choose from over 600k images, and you can put your keyword into the search bar to find exactly what you’re looking for. You can then edit the text, while also being able to change the color, font size, the text placement on the image and more. If you use Buffer, you can directly export your newly-created image into it, as well as share directly on different social media platforms. Alternatively, you can also download the image on your computer and use it later. Display Purposes is a simple but powerful tool to find relevant hashtags for your Instagram posts. It’s no secret now that you can get considerably more engagement on your posts simply by including relevant and popular hashtags that your target audience might be searching for. To use DigitalPurposes, you simply need to visit their website and put your general keyword in the search bar. It would then quickly bring up tens of different, relevant hashtags for you to use. This tool is free to use as well. While being able to conveniently grow your account using Instagram management tools like Buffer is great, you would need to go beyond that to get to the next level of Instagram marketing. And that’s precisely where Woobox comes in. It’s basically a tool that lets you easily create and manage different types of contests and giveaways for your Instagram target audience. These contests – when run the right way – are almost guaranteed to generate a lot of engagement and get you much more exposure than you usually do with your routine posts. You can create different types of contests with Woobox for your Instagram, including hashtag contests, user-generated content contests where users are required to post relevant content for you, polls for getting user feedback, offering coupons for your products and more. While Woobox has a free plan, it’s very limited as far as the overall functionality is concerned. The paid plans start at $37 per month. If Instagram marketing is an important component of your overall marketing strategy, then you will want to make sure that your website and Instagram account are connected well with each other. And Juicer helps you do exactly that. 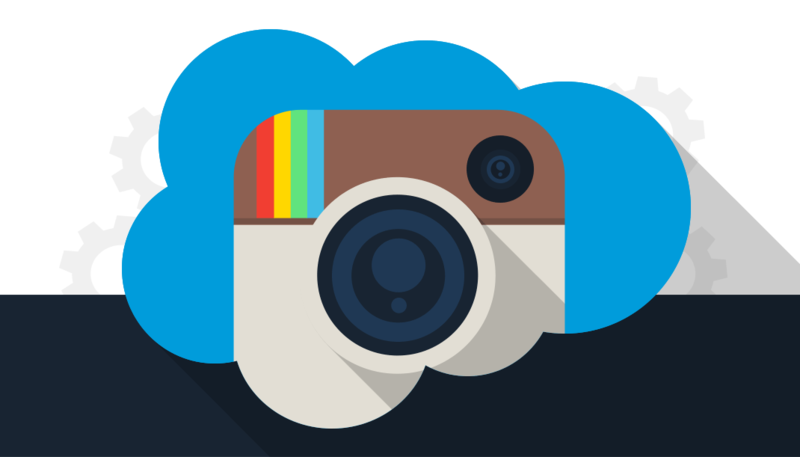 It would automatically create an Instagram feed on your website by aggregating all your posts and hashtags. Any new post or hashtag you make would automatically be synced in as well. The free plan at Juicer allows connecting 2 accounts, and the cheapest paid plan is $19/month and would let you use up to 5 accounts for the feed. Using the right tools can definitely make or break it when it comes to finding success using Instagram marketing. That place is already quite crowded with thousands of businesses in every niche, and these tools can help you get the edge you need to stand out, while making it much easier and convenient for you to grow your business using Instagram.